Hey there! Thanks for dropping by $PE(TR!($! Take a look around and grab the RSS feed to stay updated. See you around! 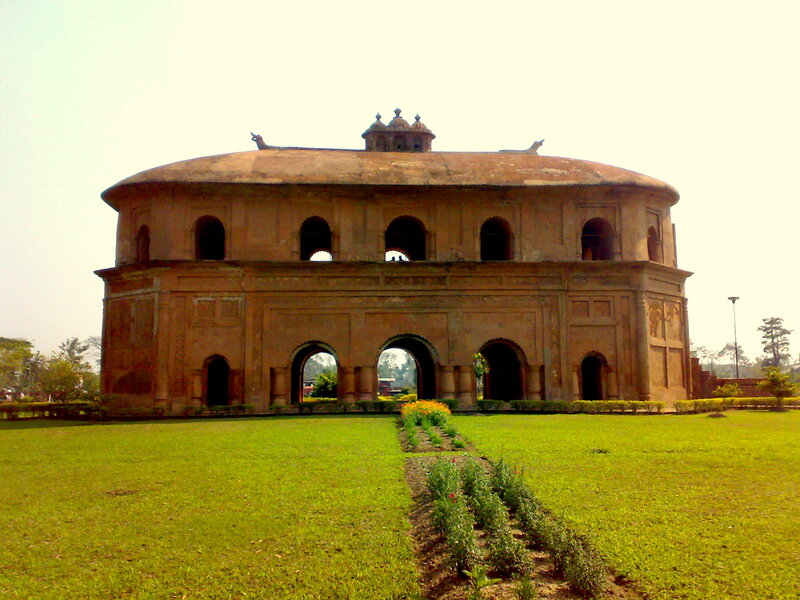 Rang Ghar is a two-storied building, which was the royal sports-pavilion from which the Ahom kings and nobles witnessed games like buffalo fights and other sports at the Rupahi Pathar specially during Rangali Bihu festival in the Ahom capital, Rangpur. 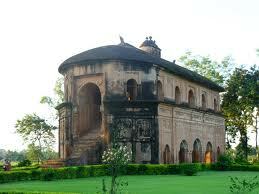 It is the first Pavilion of entire Asia Continent. 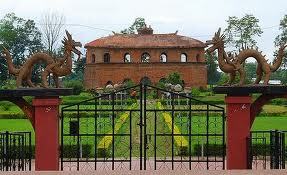 On the roof of the Rang Ghar is a design of an Ahom royal long boat. 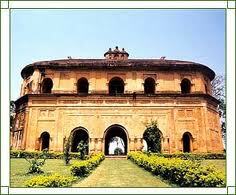 The building was constructed during the reign of Swargadeo Pramatta Singha in 1746. The fact which is most importance is that it was made with baked bricks and a paste of rice and eggs as mortar. 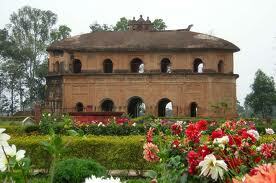 It is located north east to the Talatal Ghar a multi-storied royal complex in Joysagar west of Sivasagar town. *Pathar meaning field in Assamese.